September 30, 2018 Messe München is becoming a partner of the start-up conference Bits & Pretzels. In the future—subject to the approval of Munich City Council—it will take a ten percent stake in the event. Messe München is also showcasing its “Startup Boost” initiative at Bits & Pretzels. It bundles various offerings - some of which have been around for many years - that give company founders a stage to present their ideas to a wide audience. 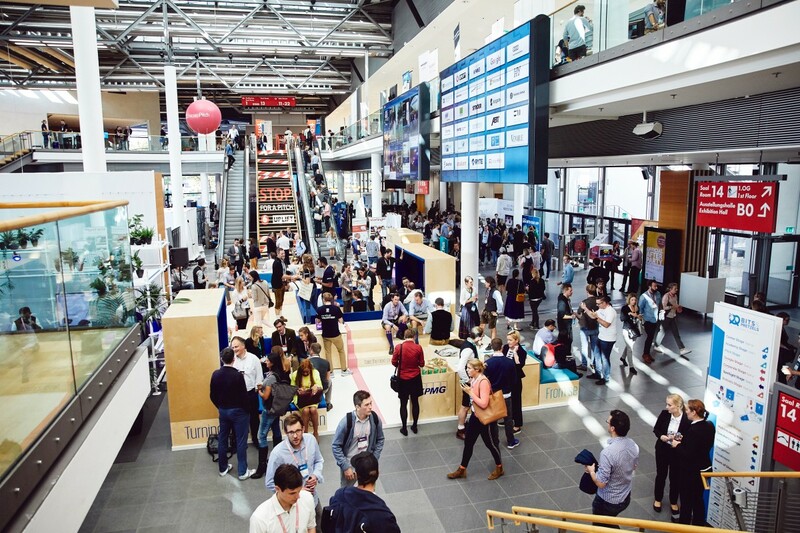 Bits & Pretzels is a three-day festival that brings together 5,000 founders, investors, start-up enthusiasts and decision-makers from the digital start-up ecosystem. The festival will be held at the International Congress Center in Munich on September 30 and October 1, 2018, and at the Oktoberfest on October 2. The festival has been able to attract famous names as speakers, such as Richard Branson, numerous CEOs of DAX-listed companies, the founders of Airbnb, Delivery Hero and Zendesk, and many successful other start-ups. Innovative formats such as the “Academy Stage” enable perfect knowledge sharing, while the “Table Captains” ensures ideal networking at Munich’s Oktoberfest. The following speakers have already confirmed they will be there this year: Tarana Burke (founder of the #MeToo movement), Nico Rosberg (Formula 1 world champion and investor), Hannes Ametsreiter (CEO of Vodafone Deutschland), Marc Samwer (Global Founders Capital) and many other internationally successful founders, investors and well-known personalities. Messe München is one of the leading exhibition organizers worldwide with more than 50 of its own trade shows for capital goods, consumer goods and new technologies. Every year, a total of over 50,000 exhibitors and around three million visitors take part in more than 200 events at the exhibition center in Munich, at the ICM – Internationales Congress Center München and the MOC Veranstaltung-scenter München as well as abroad. Together with its subsidiary companies, Messe München organiz-es trade shows in China, India, Brazil, Russia, Turkey, South Africa, Nigeria, Vietnam and Iran. With a network of associated companies in Europe, Asia, Africa and South America as well as around 70 rep-resentations abroad for over 100 countries, Messe München has a global presence.